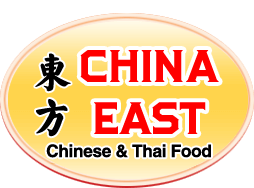 Online ordering menu for China East. Just South of White Oaks Elementary in the Target shopping center, China East is a delicious place for Chinese food. We have all your favorites like; Crab Rangoon and Beef and Broccoli. Get your food faster and fresher by using our online ordering feature. So kip the line, order online, and come pick up you delicious China East food today!